MaxSchreck wrote: Meh, I feel like I am the only one who isn´t excited about Deathstroke being the villain for the Batman solo movie. Maybe its because of how they treated the character in Arkham Origins and Arkham Knight, but I don´t think the character works very well as a Batman villain. He has been overrated and overused a lot. DatBat's not happy with it too, just so you know. So you're not alone there. Make it three. I like Deathstroke, but I can't see him as the main villain of the Batman solo film. I refuse myself to believe that. I want someone who can offer Batman more of a psychological than a physical challenge, personally. That being said, my choices for the villain are: Joker, Hush, and Black Mask. I wouldn't mind seeing other villains though (as long as they are secondary, not main villains). I liked how they used him in Origins fine, but I do agree he was trash in Knight. The best hand-to-hand combatant in the DC Universe =/= a tank battle. Or at least he shouldn't. I'd love Slade as the villain in a Teen Titans movie, or if he'd have shown up some in Suicide Squad. But as a Batman villain, it just sounds boring. 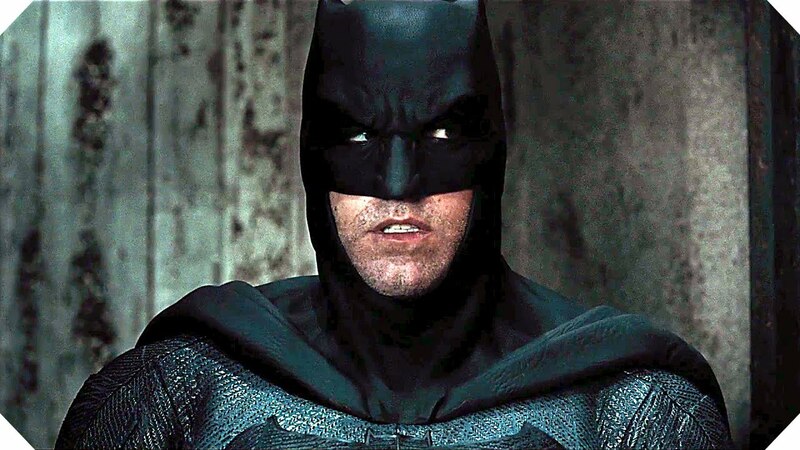 Ben Affleck is a really good actor (imo) and I'd love to see him face off against someone that could not only match him physically, but also mentally. I know Slade is some kind of master strategist, but I just don't think there will be a whole lot of detective work involved (and the Bruce Wayne detective scene in BvS was one of my favorite parts, the one where Diana intervened). Hopefully Slade isn't the only villain. The Riddler was locked up a long time ago. He sees that Batman is back in action on the news from within prison, and hatches a plan to get out (like Joker in The Dark Knight Returns). He's a more calm and collected villain to begin with, but throughout the movie he'd become more and more deranged. He knows he can't match Batman physically, so he hires Slade Wilson to be the brawn while he's the brains. He holds the people of Arkham Asylum hostage, and forces Batman to come save them. Batman has to go through several challenges and games (kinda like the Riddler rooms in AC and AK) to free staff members and other inmates (this would allow for cameos with other characters to set up for future films). After going through the rooms and saving people, with a few detours caused by other criminals, Bruce faces off against Slade (after brief battles throughout the rest of the film). (honestly i don't know who i want to "win" the fight or if i want them to peacefully resolve things or what so this is a plot hole for now). After the fight, Batman goes down the elevator deep below the Asylum. He finds the room where Joker and Harley killed Jason Todd, and this causes him extreme distress. While he's distracted by this, Riddler lets all the criminals down there to attack him. He manages to fight them off, but he's seriously injured. He attacks Riddler, beats him to a pulp, and is close to killing him. He looks over and sees where Jason was killed, and remembers how he would always solve things without killing when Jason was around. He decides not to kill Riddler. In the after-credits scene, it's back in the Jason room. Red Hood walks in, and the movie is over. Leaks, leaks, leaks. Take them with a grain of salt, as usual, but they don't sound too unlikely to me. Although, to be honest, I don't care enough to, well, care. Be cool if they were true, though. Most of them, anyhow. They’re trying not to make Justice League feel overcrowded but it’s very clear that there is a lot they’re working with already. Looking to be a long movie. They know they can’t cut out a ton of stuff and repeat past mistakes. Justice League 2 may or may not use Darkseid as the villain. The biggest concern is comparisons to Thanos. They may hold off and use him further down the line once the dust has settled following Infinity War. Other villains being considered are the Injustice League, the Crime Syndicate and The Society. They really want multiple villains for the sequel for some reason. Tower of Babel is also being discussed as a possible plot. Justice League 2 will be pushed back to the end of 2019 to make room for Justice League Dark (which will have a different title to not confuse moviegoers). Expect full trailers for both Wonder Woman and Justice League emphasizing the “fun” of these movies. The Wonder Woman trailer shows the villain a little. Also expect a bunch of announcements regarding casting, release dates being moved, a few new films being added to the slate, plans for DCEU shows and DCEU animated movies (no shows or movies will be announced, just that they will make stuff that tie in), and more. “To have these characters be part of the fabric of pop culture is so rewarding, though of course we’re disappointed the movies weren’t better reviewed,” said Mr. Berg. 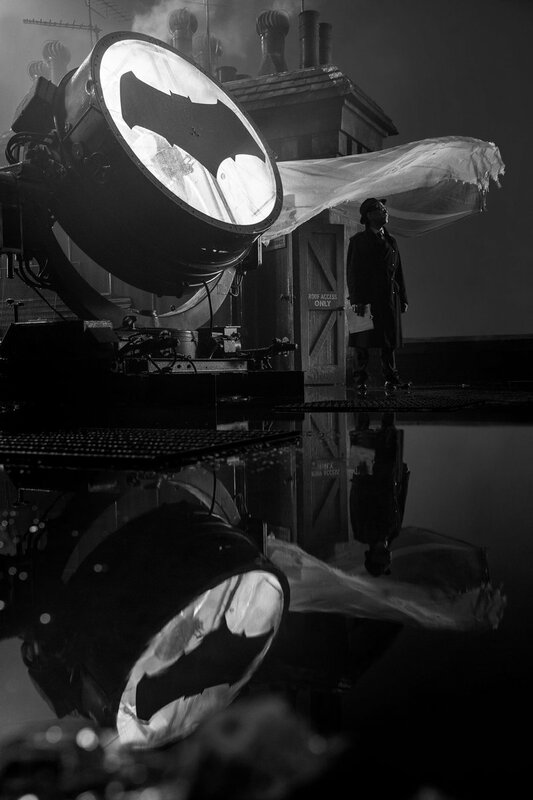 He spoke from the London set of “Justice League,” where Mr. Snyder is a few weeks away from completing a five-month shoot. “Justice League” was already intended to be less depressing than “Batman v Superman,” but Messrs Berg and Johns worked with Mr. Snyder and screenwriter Chris Terrio to make changes after gauging fan reactions to the superhero fight. “We accelerated the story to get to the hope and optimism a little faster,” said Mr. Berg. “Justice League” will also directly address Batman’s extreme actions in the last movie, such as torturing criminals and nearly killing the man of steel, rather than accept them as par for the course. And it’s expected to have fewer of Mr. Snyder’s controversial flourishes, like the dream sequences in “Batman v Superman,” in favor of focusing more tightly on the plot, people close to the picture said. Plans to make “Justice League” a multipart story that would continue in a 2019 sequel also were abandoned. “Justice League” will come out in November 2017, following next June’s “Wonder Woman.” Mr. Johns did a rewrite of the script for the superheroine’s origin story, working with director Patty Jenkins, and is writing a solo Batman movie to be directed by Mr. Affleck. It will feature Joe Manganiello, from “Magic Mike” and “True Blood,” as nemesis Deathstroke and could come as early as 2018, though Warner has not set a release date. 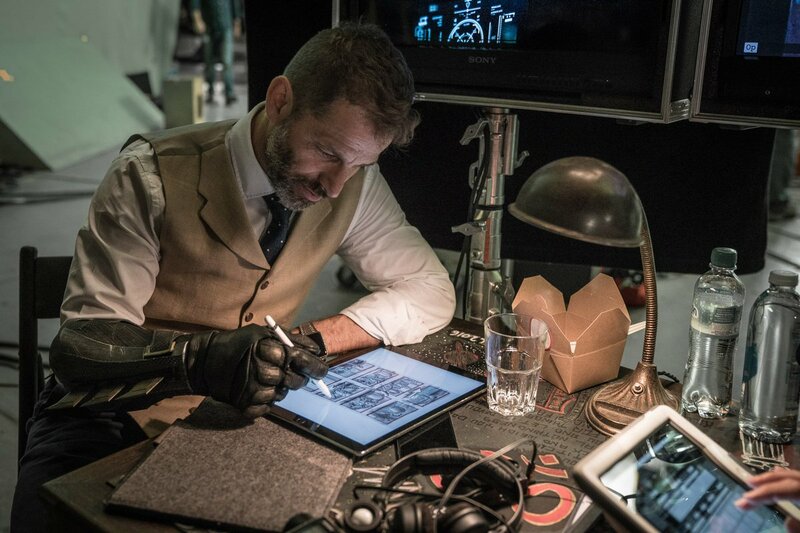 As he is writing screenplays and working with Mr. Berg to develop other coming DC movies including “Flash,” “Aquaman” and “Cyborg,” Mr. Johns has pulled back from his work on DC television shows and comic books. This past May, however, he wrote a special called “Rebirth” that gave DC’s comic-book line a more hopeful tone and a renewed focus on each superhero’s core qualities—following complaints that, like the recent movies, they had gone astray from what fans loved about them. Early sales numbers have been strong, and Mr. Johns said he is applying lessons to his film work. “We’re trying to take a really hard look at everything to make sure we stay true to the characters and tell stories that celebrate them,” he said. Has Batman stolen Catwoman's eye goggles? The goggles look a little weird... I hope he isn´t wearing that suit the entire movie. MaxSchreck wrote: The goggles look a little weird... I hope he isn´t wearing that suit the entire movie. Looks like he's got the regular suit here. He reminds me of Owl-Man from Watchmen...and of Joel Schumacher's Batman. johnsyggel wrote: He reminds me of Owl-Man from Watchmen...and of Joel Schumacher's Batman. You mean Nite-Owl Yeah, I heard that one before. Hope this suit is just an upgrade he will wear in the finale. Kinda like the armor he wore to fight Superman, just designed to fight Deathstroke. 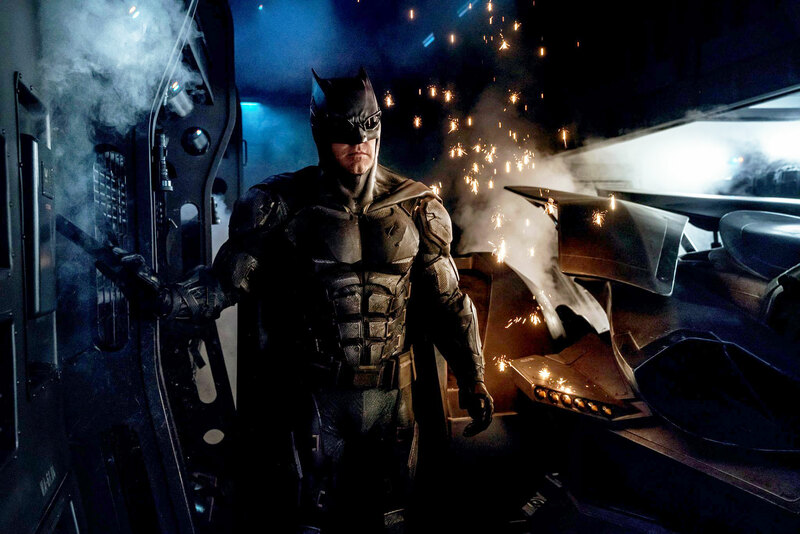 I don´t want this to be his main Batsuit in the Justice League movie. Personally, I like the suit, but I'm not a fan of the goggles either. However, as far as I remember, they said that the goggles would pay homage to Batman's white eyes from the comics, so maybe... they will light up? Certainly, I wish they had went with a mix of Black Panther's and Iron Man's eyes, but regardless, I'm really looking forward to seeing this suit in action. BrunoBKMazing wrote: Happy Batman Day! That looks great. Can't wait to see it in action. Jason Momoa stealing Gal Gadot's sword. Awesome.